With teamwork embodied as one of its core values – which it defines as working with pride as a worldwide team to achieve success together – team building is not just a programme or activity for for Singapore Airlines. “The emphasis of teamwork or team building in our company is evident as all employees are encouraged to embrace and exemplify it from the moment they join us,” says Casey Ow Yong, vice-president of talent management and development at Singapore Airlines (SIA). Hence, SIA has embedded the team building element in many of its learning and development programmes, its flagship programme being FUS3ION. FUS3ION is a team building training initiative designed to enhance and promote integrated safety, security and service excellence (denoted by the “3” in FUS3ION) among SIA staff. FUS3ION is a team building training initiative designed to enhance and promote integrated safety, security and service excellence (denoted by the “3” in FUS3ION) among SIA staff from flight operations, cabin crew, engineering and ground services. It is managed by SIA’s human resources’ corporate learning centre which works closely with the programme facilitators from each of the four operational units who will roster or schedule staff from their respective areas for each run. FUS3ION aims to develop participants to be members of high-performing, cross-functional teams who share common goals and accept each other as internal customers deserving of a high level of service. Participants become champions of FUS3ION and propagate the FUS3ION message among colleagues. “Through FUS3ION, we hope to bridge the invisible barriers that might hamper effective cross-functional co-operation in any situation,” Ow Yong says. 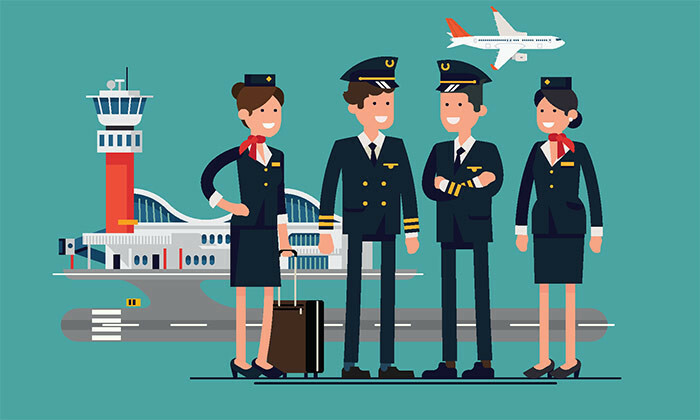 The participants of the programme include staff from the airline’s four key operational areas – technical crew (pilots), cabin crew, ground services and engineering. The technical and cabin crew are rostered to attend, while staff from the other two operational areas are scheduled to attend as part of their annual training plan. One of the operational areas will also have their senior vice-president participating in the programme through hosting dialogue and interaction sessions with participants to further demonstrate the value and importance the company places on the programme. No programme is without its challenges. For the FUS3ION programme, the main challenge is to get staff out of their “comfort zones” to share the challenges they face with one another. To overcome this challenge and encourage staff to contribute in the discussions, SIA places an emphasis on the objective of the programme and the sharing of past success stories as well as some ice-breaker activities and role plays to improve communication and deepen understanding. As a result of this programme, SIA’s employees have a deeper appreciation and understanding of the roles, responsibilities and challenges faced by their colleagues in other operational areas resulting in employees being able to work as a team better to manage any situation. At the same time, the programme improves collaboration among teams, ultimately leading to its customers benefiting from the delivery of service excellence. “We have received consistent high ratings and favourable feedback from the participants of the programme. Success stories and learning points are often used as case studies in the programme itself to enhance learning,” Ow Yong says. For more case studies from SCIEX, Grey Group, IKEA and foodpanda, and tips to create your very own team building programme, head over to the Human Resources’ January-February feature. Investigations revealed that he had worked with another individual to obtain work passes for foreign workers with no intention in ..